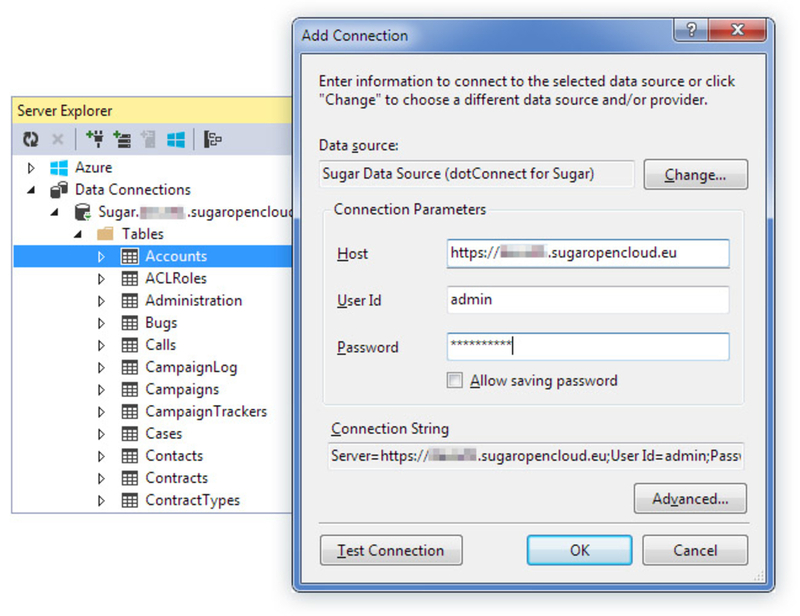 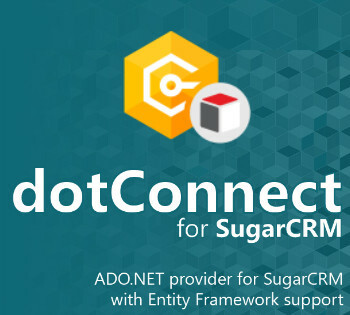 dotConnect for SugarCRM SugarCRM, Inc. The main function of any database application is establishing a connection to a data source and working with data contained in it. 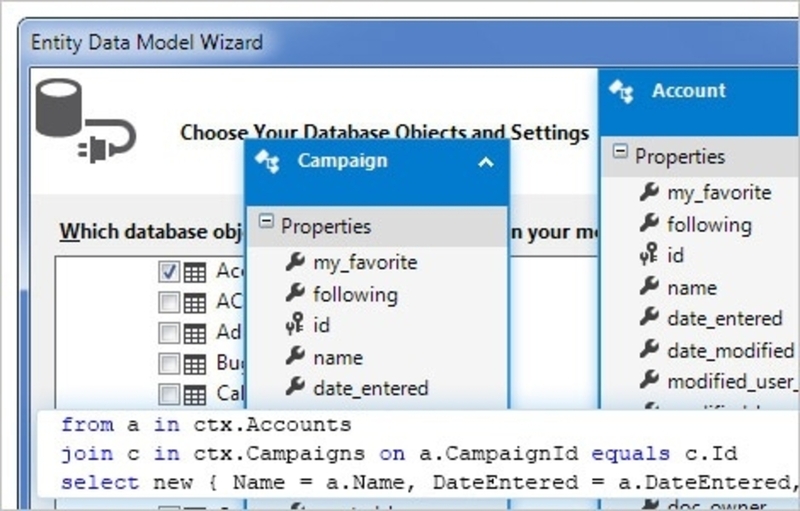 ADO.NET data providers serve as a bridge between an application and a data source, and allow you to execute commands as well as to retrieve data by using a DataReader or a DataAdapter. 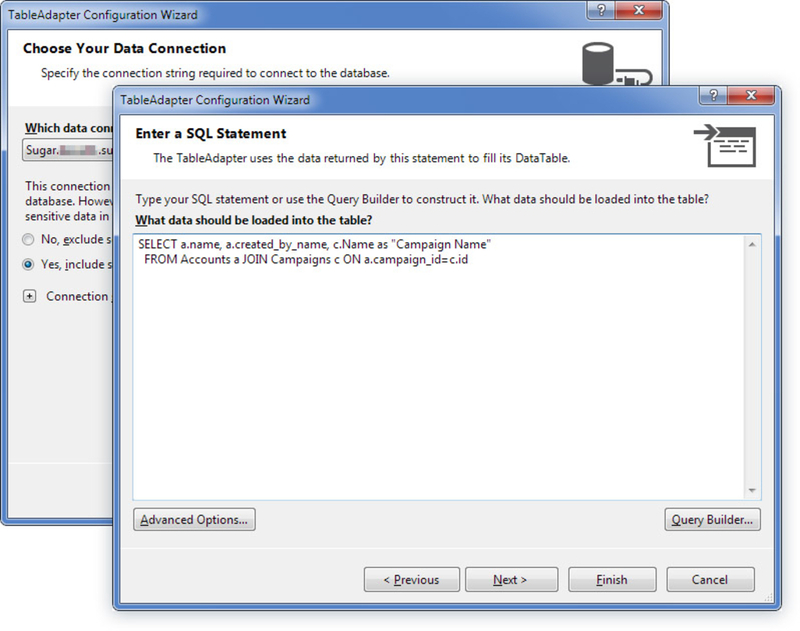 Updating data involves using the Command and DataAdapter objects.